Robert, your team, your friends or family if they read this, let them advise you to learn how to do a basic interview. My pet peeve about Rob is his awkward interviews. Sometimes he can be spot on but other times he is clearly off his mark. How hard was it to say something nice about Guy, which has been shouting Rob's praises. Either lay off the booze or whatever and get it together, that was embarrassing. Sorry for the rant, but he clearly needs to improve in his skills to sell his movie. He does not have to be your typical actor spewing out the same rhetoric, but I think some clear bullet points would at least make you less awkward or douchey. I am still a fan but as I said it is a very big pet peeve of mine toward him. I know this may cause angry comments toward me, but before you comment, let me know how hard would it have been to say something nice about Guy, who really gives a brilliant performance in the movie. The fact is Rob has said plenty of great things about Guy during this promo tour in many interviews. You were so quick to comment on Rob's inability to quickly answer in this one particular early morning interview. Too bad you weren't as quick to comment on the video from the LA press conference, where at the beginning you can hear Rob complaining to David that he hasn't slept for 5 days and that he thought room was freezing, or his other interview where he said he's been sick. I wonder how prompt you would be if you had to be in his shoes doing all these interviews while being ill and exhausted, traveling from one time zone to another. He's one of the best actors when it comes to interviews and I'm not saying this as a fan. The truth is I wouldn't follow his fan blogs and seek out his interviews if he wasn't. That's why I give the guy a break for not feeling that great sometimes and being numb during the interviews. This may have not been Rob's best interview, but I wouldn't say he's being a douche, simply because he came up short answering that one question. On all of the other interviews Rob has nothing but praise for Guy and said he would like a career like Guy's. That's pretty high praise. I could tell during this entire promo tour, Rob sounded like he was battling a cold ever since Cannes and all that traveling combined with not feeling your best, has to be hard, so I can cut him some slack. @Ludus, I know this is tough for actors to do and btw, I defended Rob on the JKL interview that people were saying he was possibly high, but how hard even with a cold and exhaustion to say it was nice working with Guy. 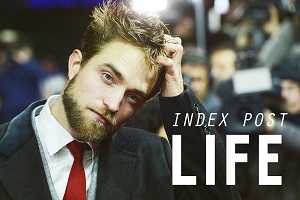 As for all the nice things in interviews about Guy from Rob, I have only seen one that stated he would like a career like Guy because he loses himself in the part. I have listened and read most of the interviews and Guy gives far more praise. If you think Rob is good in that interview, fine to each his own. @Eliz/TEB4E, I feel bad that he is suffering a cold but I know other actors and actresses who have conducted these interviews and have ailments as well but they seem to do OK in the interview. I still believe he has much to offer us in his acting skills and he gives an excellent performance in The Rover. I feel it is his best performance. 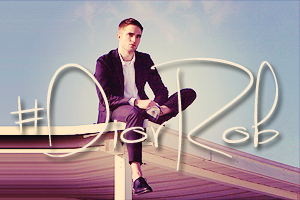 I look forward to his other performances in QotD and Life and his upcoming projects especially Idol's Eye with De Niro. Maybe I am being harsh, but just like his recent performance in The Rover, I know that he can do a better interview, if Efron can do it, I know Rob can do it with a slight quirky spin. First of all sorry for my English. So it was a bit awkward, and yes, Rob can be clumsy sometimes in interviews, but I think there were a lot of factors, the delayed sound, he was very tired, and you know Rob, he never answers the question simply. I think, he didn't want to say something schematic (for example: he is a very nice guy, easy/good work with him etc), he searched the right words, and in the end he started say something, but the reporter interrupted.